Designed exclusively for The Original Telescoping Flagpole By Uncommon USA. 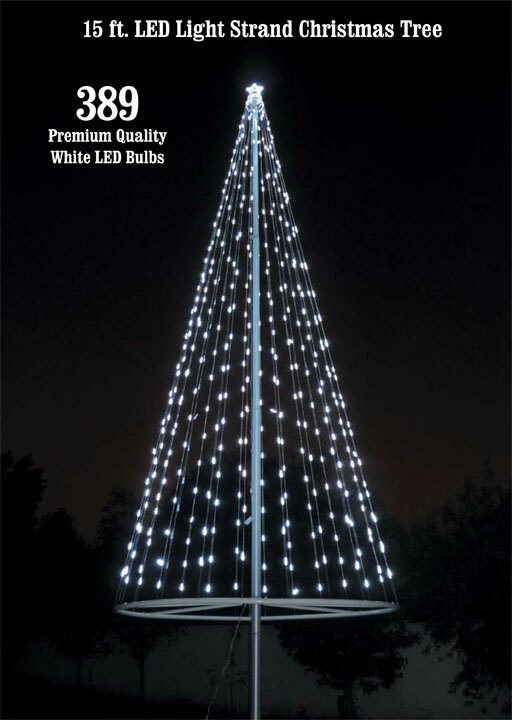 15 feet high (will fit a 20' or 25' pole) with super bright LED lighting technology. No need to replace bulbs (100,000 hours of usage). Lighted star included with set. 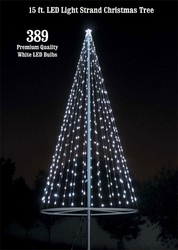 389 sparkling white LED lights. Low voltage for energy efficiency is safe and the lights do not produce heat. Sturdy metal construction with powder coat finish. Simple and easy to setup and detach, and super compact for storage and shipping. Outdoor UL listed AC adapter.